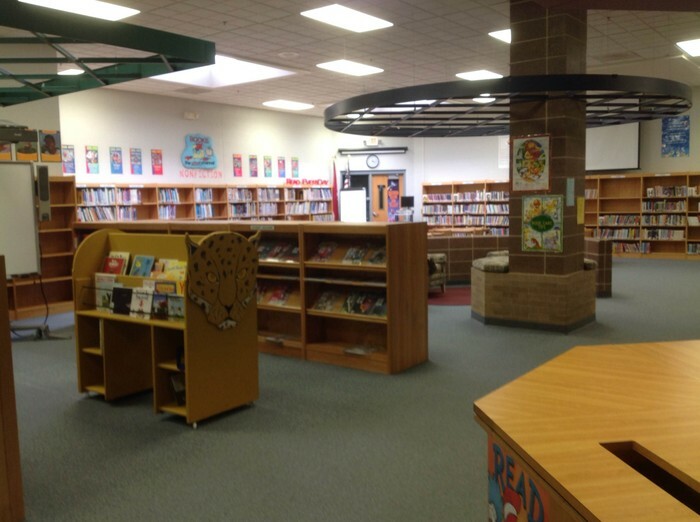 I am so excited to be in the library this year! As many of you know I taught kindergarten here at Timber Creek for several years. I am looking forward to a new adventure with you and your child as we grow together as readers, researchers, author explorers and more! Mrs. Sullivan will be here with us on Wednesday, Thursday, and Friday mornings to help us all in the library. Below are some pictures. I thought you might like to see our favorite books! 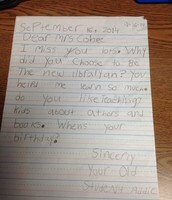 I also wanted to share a letter that I received from a former kindergarten student from last year. 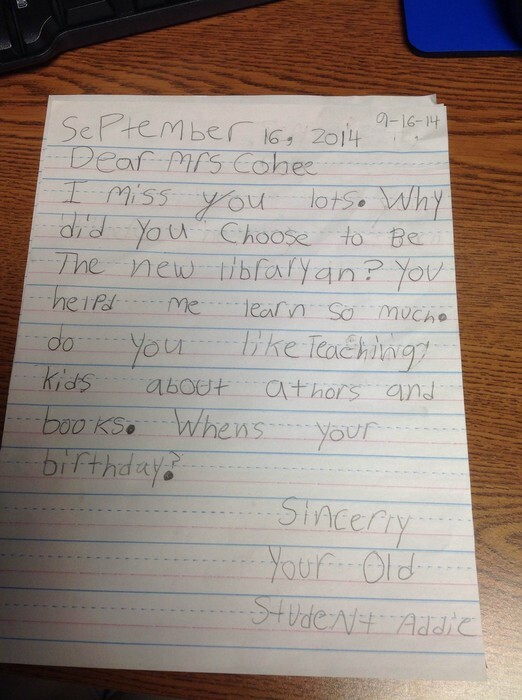 She asked a question many of you might be wondering: "Why did you choose to be the new librarian?" 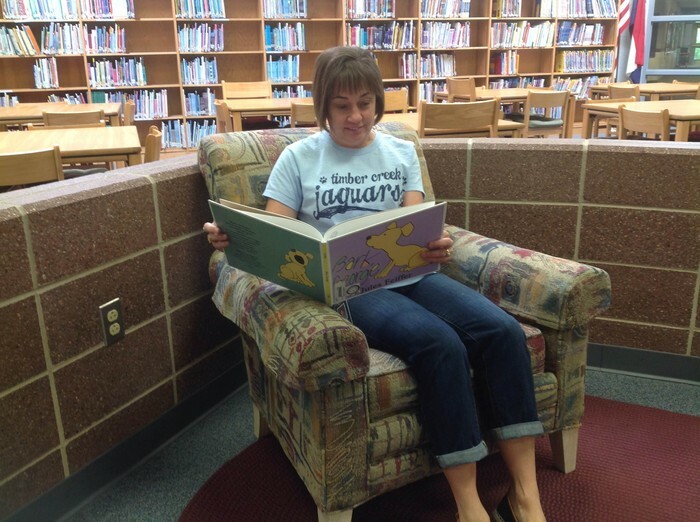 I chose to be the new librarian because I want to share my passion for reading and teaching with all the students here at Timber Creek. I look forward to seeing you in the library! Here I am reading my favorite book of all times! I first heard this book when I was in 3rd grade. We had a student teacher who would read a chapter to us every day after lunch. I couldn't wait to hear what Wilbur was going to do next! 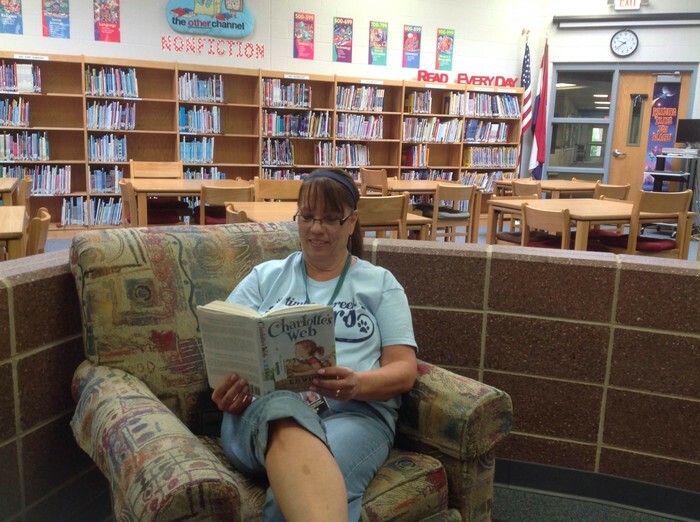 Mrs. Sullivan loves to read! She has been a library assistant for over 15 years and believe me she knows her books! She says that sometimes she even forgets to cook dinner she is so busy reading! Addie was in my kindergarten class last year. She wrote me this letter a few days ago. Isn't she a wonderful writer? Our library is an exciting place for all the students here at Timber Creek. 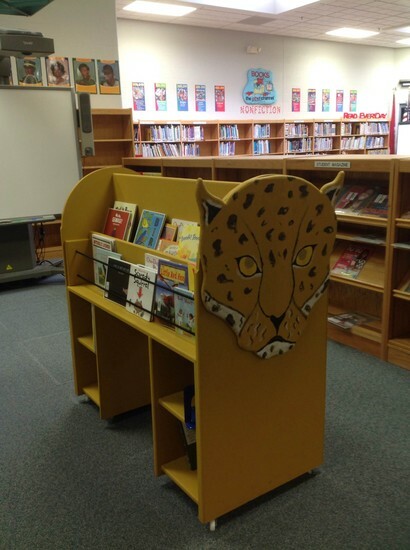 Since it is so big and full of so many books It can also be a bit overwhelming for new kindergarteners. One of our parents made this jaguar just for our kindergarten friends. What a wonderful gift to our library. Now the children have a section just for them! What fun. I like to start the year off talking about book care and favorite books. 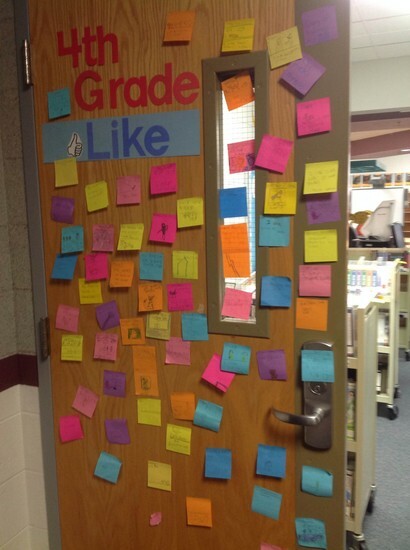 In third and fourth grade we shared some of our favorite books. We watched a book trailer about my favorite book Charlotte's Web. 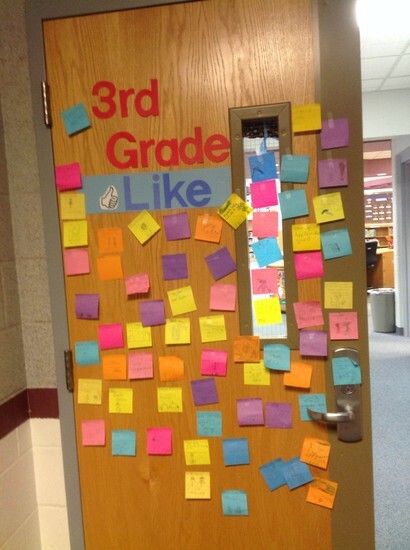 The third and fourth grade students then used a sticky note to share their favorite books. We plan to make book trailers for them later in the year. We will be sharing those with you so be looking! The Mark Twain Nominee books are on display in the 4th grade hallway. 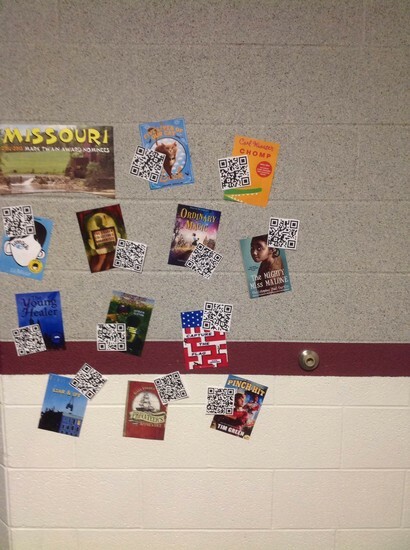 Students can use their mobile device to access QR links to book trailers for each book. Students can also be a part of the Mark Twain Award Book Club. When they read seven of the nominee books they get to participate in a special event in the library at the end of the year. We also have a Birthday Book Club. 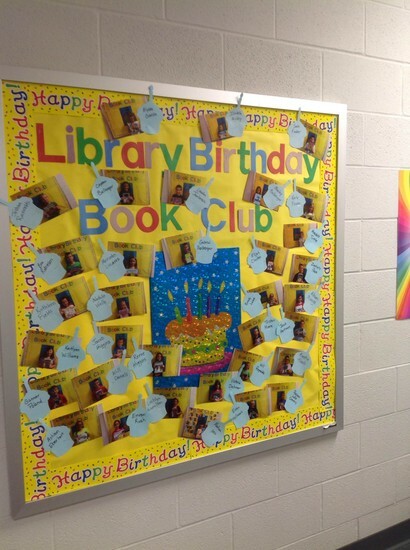 Students who participate in this club are able to choose an extra book to checkout during their birthday month. They also receive a smelly bookmark as well as an extra celebration at the end of the year. If you want to have your child participate in this club just contact the library for full details. 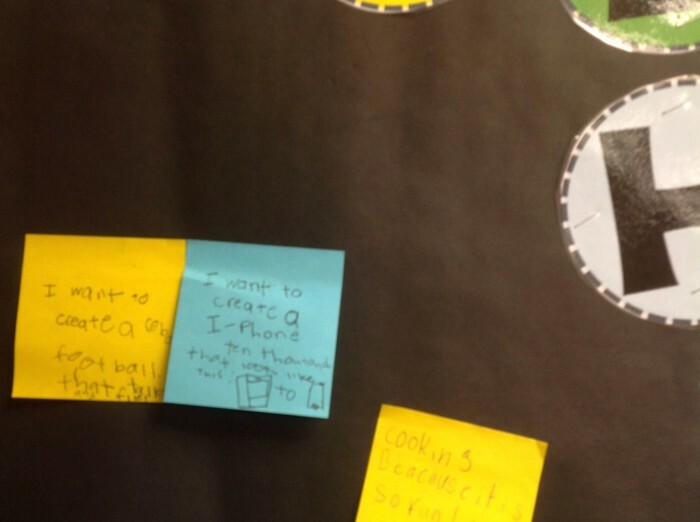 The third and fourth grade students are starting to learn about a research method we call the process of inquiry. You may remember a time when your teachers told you what to research. Maybe you didn't even want to know about the topic, but you still had to do the research. The process of inquiry is so much more fun! 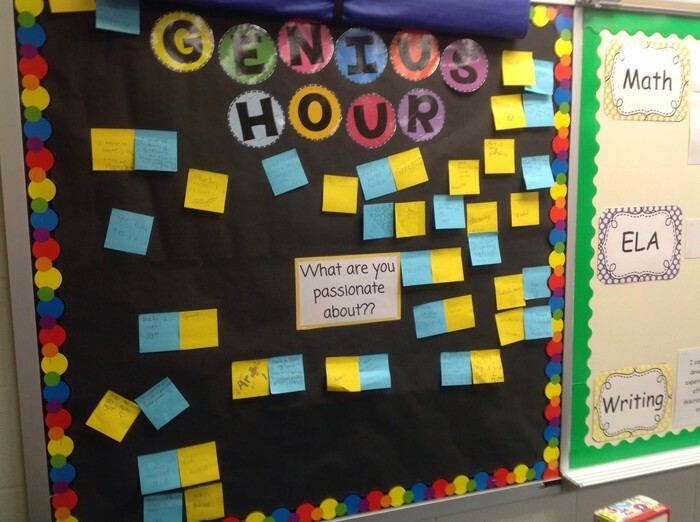 Students can select their own topic. They select something they are passionate about! When they do this they are making a connection which makes the research more meaningful. After investigating their topic they will share about their topic using a variety of methods. They might develop a website, make a poster, or write a book. 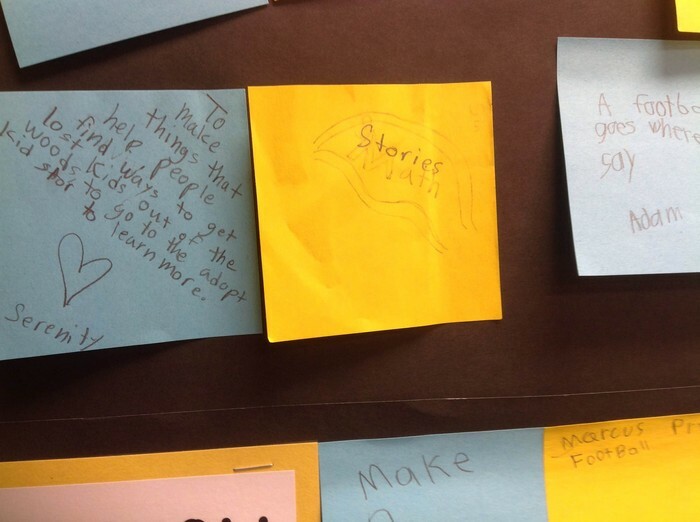 Today a third grade class started the process by posting a passion and a wonder question. We have some passionate students here!